September. ‘Te Faz Bem’ is taken from their forthcoming vinyl album release ‘Deixa A Musica Tocar’ The Ibiza anthem is receiving strong support from Pete Tong, DJ Harvey, Psychemagik, Chris Coco, Ruf Dug, Alfredo, Peaking Lights, DJ Pippi, Phil Mison, Jon Sa Trinxa and other Balearic inspired DJs and echoes a renewed interest in Latin and Brazilian inspired sounds. 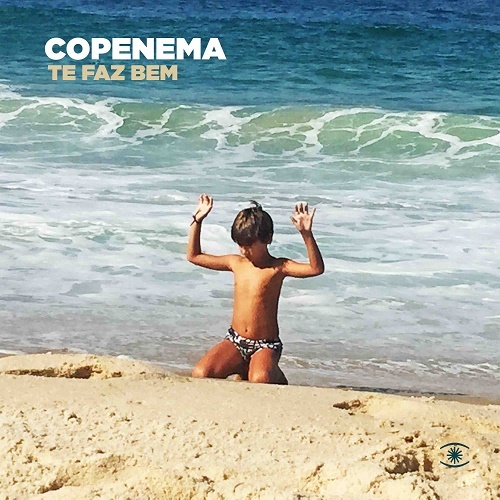 Copenema (Copenama = Copenhagen Vs Ipanema) is a collaborative project between artists from Denmark and Brazil with the album partly recorded in the living room of Brazilian star Rodrigo Sha in Rio Di Janeiro, and finished at the legendary Volmers studio in Copenhagen. 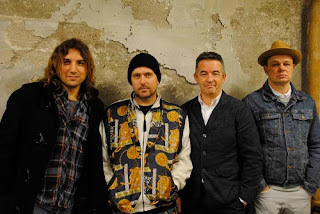 Copenema is the latest incarnation of Music For Dreams’ label boss Kenneth Bager in collaboration with artists and friends award-winning Brazilian artist Rodrigo Sha, Danish composer Troels Hammer and producer Thomas Schultz from Ambala. The lead single ‘Te Faz Bem’ was the last track recorded during the sessions and will be the first single. It will be followed by the release of the debut Copenama album ‘Deixa A Musica Tocar’ (Let The Music Play). Kenneth Bager met Rodrigo Sha at a barbecue during his 3-week tour of Brazil, where discovered they discovered a shared interest in quality music and the new wave of electronic composers. The collaboration was born with Rodrigo, who plays seven musical instruments and plays 120 shows are year, coming to Demark for a week to record for the album. ‘Te Faz Bem’ has already been heralded a Balearic classic in Ibiza with weekly support from DJ Harvey at his much celebrated ‘Mercury Rising’ residency at Pikes, Oakenfold’s ‘Generations’ at Pikes too, plus Jon Sa Trinxa, and Kenneth Bager’s own sets at Jockey Club, Salinas. In fact ‘Te Faz Bem’ has become a beach bar favourite across Ibiza and Formentera thanks to its catchy ‘la la la la la lai’ refrain and infectious flamenco handclaps. Copenema ‘Te Faz Bem’ is getting major support right now from Worldwide FM, Max Essa, Dr Rob, Peter Visti, Chris Coco, Willie Graff, Is It Balearic?, Pathaan, George Avolontis, Blank & Jones, Bobby Beige, Nancy Noise, Jonny Rock, Alex From Tokyo, One Million Sunsets, Balearic Mike, Ben Monk, Balearic Ultras, Jolyon Green, Stuart Robinson, and more. Copenema ‘Te Faz Bem’ is released by Music For Dreams on digital and stream on Friday 22nd September 2017.